Math Textbook Rec's For Small Co-Op Classes? Hello, I've been asked to teach some small co-op math classes next year. This year I'm teaching Geometry (Jacobs) and in the past have taught Algebra 1 (Holt). I love the Jacob's Geometry. The Holt, it's pages are busy but it has some good points, too. Ages ago I used Foerster with my son for Algebra I and II but I hardly remember it and the books are not in my personal library any more. 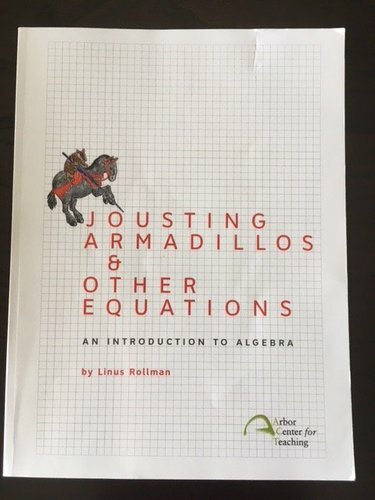 I'm looking for text recommendations for Pre-Algebra, Algebra, Algebra II, and Pre-Calc/Trig. I had originally thought to use Jacob's Algebra I since I like the Geometry so much, but now I'm wondering whether consistency in all the classes (except geometry) would be a better idea and if so, what text? I did get my hands on some Lial's (how do you pronounce that, by the way?) but only the Beginning Algebra, Intermediate Algebra, and Pre-Calculus with Limits, not the Pre-Algebra. They were $4 per book so I'm not heavily invested here, they mostly quite old. I haven't had a chance to evaluate them yet. If I do use Jacobs for both Algebra I and Geometry, what do you think would be a good Pre-Algebra, Algebra II, and Pre-cal? Do you think consistency is important? Thank you for your input, I really appreciate your experience and your comments. Sandra p.s. I'm sure my sig line is very out of date. Best math curriculum to catch a 7th grader up to grade level? I'm looking for something to catch up my math phobic 7th grade daughter. She is dyslexic and doing well in her reading. Now it's time to work on math again. First post here 🙂 I'll preface with both DS 6 and I are autistic. DS is more of a sensory seeking, clothing freakout, overwhelmed easily type. I like quiet and researching and noise gets to me fast. We are a pair! And we have my DD 3 running around wreaking havoc. We do "formal" work Tuesday/Thursday/Friday because I'm in school Mon/Wed. I want to get a plan together for next year and the ending part of this year because we hit a handful of snags and can't seem to get back into a groove. Currently: McRuffy Language Arts 1, we started this late and it's working well for us, I don't do all the workbook things because some is busy work and he hates that. Math is a mash up with some problems from Primary, some from math mammoth, and others from some teachers pay teachers pages. The thing with math is he will not play games, or use manipulatives, and he WILL NOT look at the actual book - I have to copy the problems to a whiteboard or into a plain notebook. I pushed too hard with math in the beginning because he was loving it and breezing through math mammoth and then there was just one day where he crashed and now the idea of a workbook makes him slither to the floor. Now, I'm ok with taking time off from math but he isn't! He wants to do math everyday and learn more but it would be so much easier if I could show him the pages! So I was considering starting MEP and getting him gently into math and maybe getting miquon with the rods? I want him to back up and find the fun again and at the same time make sure he has a firm grasp on the basics. Next year - I don't think we can do second grade McRuffy LA because the books get much longer and he is going to panic so I'm eyeing Reading Street or and then just planning on a ton of readers and library books. Any experience with Reading Street? Basically I want to read aloud and have guidance with the critical thinking type questions. Math - Horizons, MEP, or MCP, Science - probably nancy larson 1 History - SoTW read aloud and the Maps/Maps Activity Book Writing - this is where I have absolutely no idea. He hates to write so I want something that will spark his creativity... like a story starter but one that doesn't look overwhelming...writeshop? I need to get a strong idea of what next year will look like because there's a very good chance I will be in a PA program and won't be able to plan and prep once that begins. Okay, DS is in Singapore 5B (standards). I switched him back to SM after 2 years of BA--he'd found it amusing and challenging, but needed quite a bit of hand-holding for it and lost ground in simple computation. (His ITBS scores tanked.) Now I want him to A) speed up on facts--sometimes in the middle of a problem he's stopping for 10 seconds to recall or, more likely, calculate something he should have memorized (despite some improvement via Times Tales) and B) get to Algebra in 8th. He might do high school at home, or might go to a B&M school. Visual presentation is very important with this kid. Seeing them in person at a local store, I have eliminated LOF and Saxon (again), and I think we could work with the ones below. What I'm considering is rest of 5th: Finish SM 5B. (summer) fact review (via Kate Snow??) 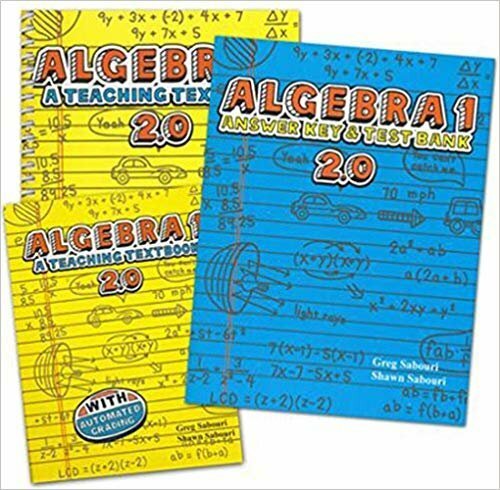 6th: Math Mammoth 7 color worktexts (their books for 6th looked like approximately the same scope as SM's 5th) 7th: Horizons Pre-Algebra (I do not like the look of their algebra, but the pre-alg looks good.) 8th: Jacobs Elementary Algebra. (It looks good, and now I've just done the Math Curriculum Selector quiz, which also suggested Jacobs or SM products.) It seems odd to use a different publisher every year, but these really look like good options for us. I don't mind repeating some stuff, as DS appreciates easy lessons. Jacobs looks like it's thorough enough not to worry to much about gaps beforehand, right? Do you see any glaring issues with this? Please give your opinion on a solid math program. Dd is 4 and is excellent at computing and actually does math play on her own. 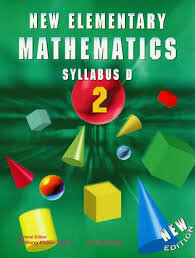 We have used the Critical Thinking Mathamatical Reasoning Book, but wondering if she may benefit from a different program. So what do you feel is the best math program for a child gifted in math. Okay, here's where we are. DS is in Singapore Math 5 and doing fine. He did Beast Academy 3 and 4 (not independently) and liked the series. However, he needs more work on the basics than BA was providing even with some extra practice with me, and his ITBS calculation scores went down. We will continue homeschooling at least through 8th grade. For high school, we might continue homeschooling, send him to either our zoned PS or a charter school (which both use integrated math I, II, III and then calculus or whatever from there). The charter is smaller, with narrower range of students, and I'm not sure how they do with college admissions; our zoned school is large, typical, and has a big range of students and abilities. or send him to a high-expectations private school. (There are two we'd consider. Both send 97% to college. One does the integrated math pathway with a range of ability-level options and the other more like a traditional sequence with lots of flexibility.) Continuing to homeschool is what he says right now he would prefer. Note that only homeschool and the zoned PS will definitely admit him. He is a mostly a social science guy but likes the sciences as well. He's not a language person, but enjoys word problems. If we were 100% sure of homeschooling all the way through, I'd probably buy AOPS stuff to try out for middle school and go at whatever pace works. But is there something made by SM to consider as well? Or somebody else? Please suggest 6th-8th grade math that is attractive to look at, likely to get him finished with the equivalent of at least Math I and Algebra 1, and a good mix of conceptual and skills practice? I'm fairly mathy and don't need a lot of support to teach, so open to whatever will be good for DS. Thanks! I am trying to help out a mom who is considering homeschooling for her K'er and 1st grader. I had suggested Cuisenaire Rods with the Math Made Meaningful Cards, but the wooden set is no longer available from Rainbow Resource, and I am having a hard time finding it elsewhere. The plastic rod set is still available, but I like the wood better. I was going to suggest the wood rods, and use that website that everyone mentions here that has videos on it that help you explain various math concepts with stuff lying around the house. Unfortunately, I have a huge mental block. Can anyone help? CTY Linear Algebra Online Course Reviews? Please share your reviews for CTY Linear Algebra online course (session based or individual based). Thanks. Like new condidtion. 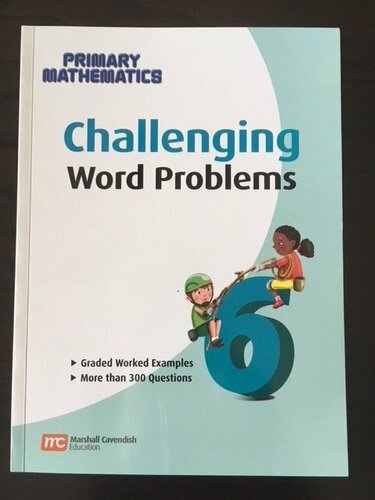 An excellent addition to the Singapore method, challenging word problems should ntbeoverlooked. Price includes shipping cost. Excellent condidtion, no writing on pages. 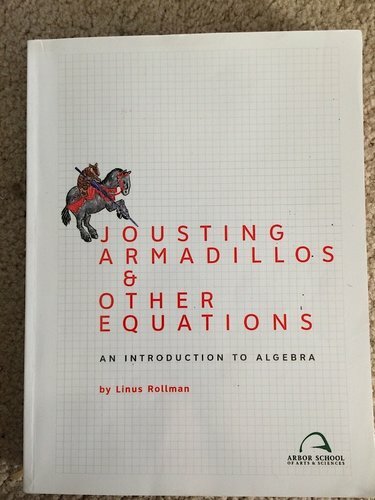 A great gentle introduction to pre-algebra. Price includes shipping costs. Like New condidtion. 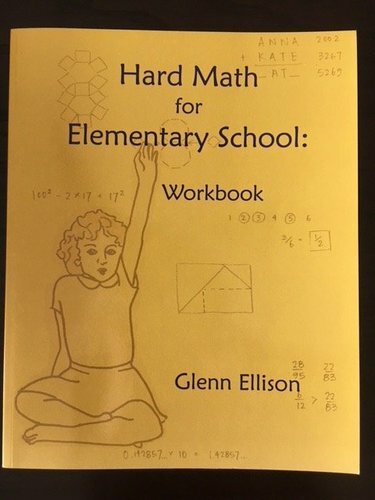 Hard Math for Elementary School workbook by Glenn Ellison. Price includes shipping cost. Looking for online math options for next year. Has anyone used the math classes at CLRC taught by Lisa Angle, the ones at Open Tent taught by Jennifer Tubbs, or those at HS Math Live taught by Regina London or Brenda Barnett? ST math Group buy. Is there one going on? There have been several posts lately, of a mathy nature, that could really benefit from some nice math formatting options. Could someone add Latex functionality to the list of board enchancements? Kumon for high school math?